Toronto, Canada, January 18, 2019 --(PR.com)-- Creating wealth and living a luxury lifestyle are goals few would eschew. Some keys to unlocking those goals, and more, can be found in the pages of a new magazine, Women’s Millionaire. The newest issue of the bi-monthly luxury, wellness, lifestyle magazine is now on the shelves. “We are delighted to present our third edition for December/January and are sure there will be something there for everyone,” says Maureen E. Smith, Publisher and Executive Editor of Women’s Millionaire Magazine and President/CEO of Women’s Millionaire in Canada, a coaching, business growth and event company and White Eagle Publications. The magazine includes information on making money and growing businesses, focused on educating women but with plenty of beneficial content for male readers as well. Its contributors include leading entrepreneurs worldwide. The current issue features articles on franchising, FOREX trading, obtaining business loans and dealing with credit. Past issues have delved into topics such as real estate investing, tools for building businesses, creating a wealth-generating mindset, and improving communication techniques. There is also a significant lifestyle component, Smith notes. The wellness section incorporates articles on health – in this issue holistic treatments for diabetes is featured – plus healthy slow cooker recipes. Other lifestyle elements include seasonal outdoor activities, the impact of Native American wisdom on life and business, a feature on goddess wisdom, and a new entertainment section detailing the latest celebrity information. 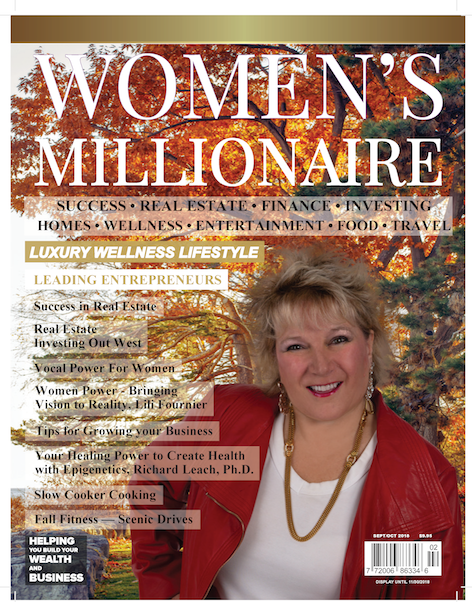 Distributed by Magazines Canada, Women’s Millionaire is available for purchase in book and magazine stores across Canada, including select Chapters Indigo locations, as well as newsstands throughout California. 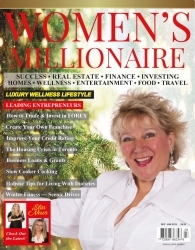 It’s also available internationally online and for iPhones and iPads via Amazon.com and www.womensmillionaire.com.